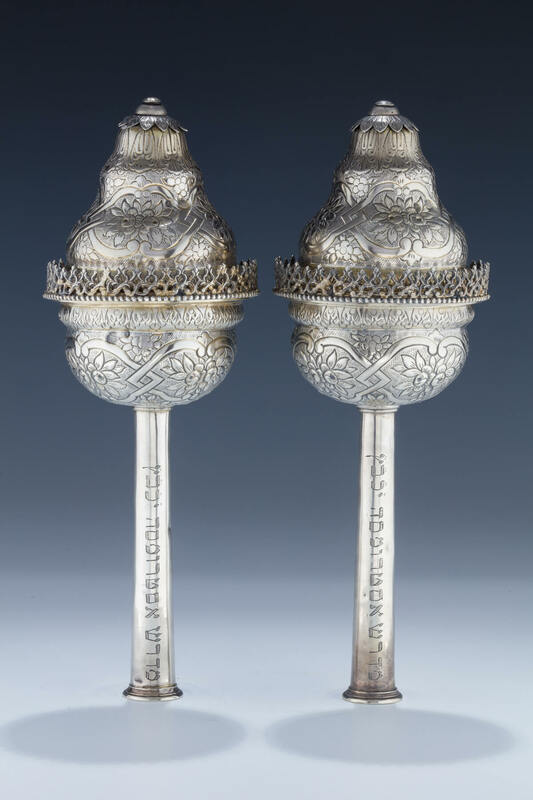 A PAIR OF VERY RARE SILVER TORAH FINIALS. Turkey, 19th century. Hand chased upper portion chased with floral designs, C scrolls and organic designs. Further decorated with lattice work gates. Engraved on stave with dedication. Marked in several locations. 12” tall.